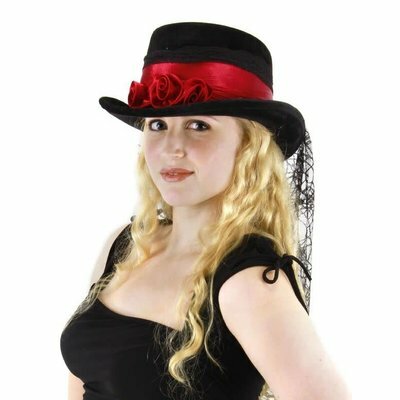 A ladylike top hat in black micro-velour fabric with a subtle sheen is feminized with a wrap of black lace and a rose-colored satin draped wide band & 3 ruffled satin "roses" attached at the front. 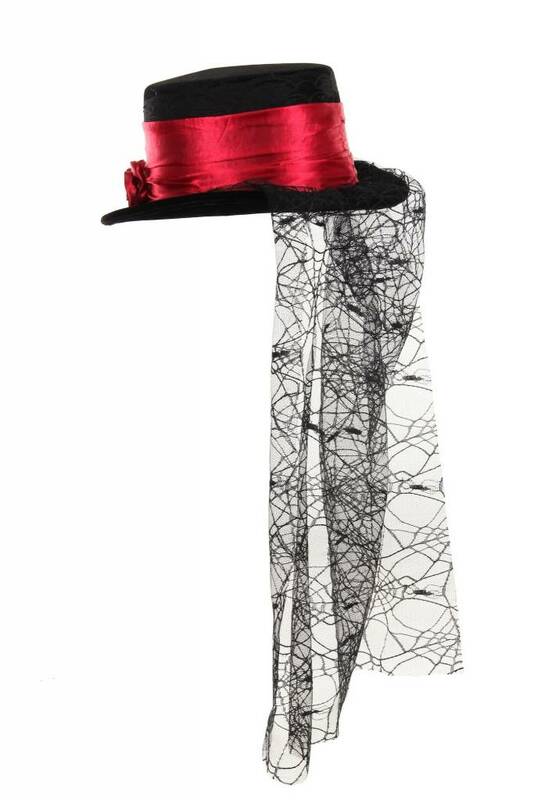 A veil of sinewy spiderweb lace yardage flows from the back of the hat band, cascading 22" down, over shoulders and back. 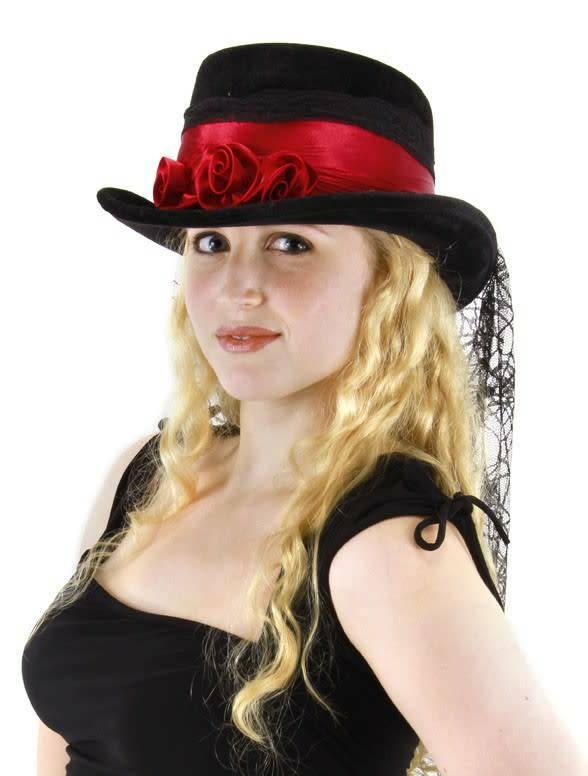 Inner hat band adjusts to fit head sizes with velcro. A beautifully Victorian accessory!